Top Notch Material: Snuggle Attempted a Guinness Book of World Records for Most Hugs in One Hour! Snuggle Attempted a Guinness Book of World Records for Most Hugs in One Hour! Snuggle is something I always splurge on. I just love fresh smelling laundry that is free of static, and snuggle is the best brand to achieve that, I have found. I felt very spoiled when I received a goodie bag of snuggles items including not one but two mini snuggle bears, who smell amazingly like snuggle for my boys! I remember as a little girl saving the UPC codes to try and get my very own snuggle bear, so it actually means a lot to me to be able to give my boys a snuggle bear of their own. Anyway, I am telling you all of these because this year, Snuggle is helping America get back to the most genuine and heartfelt acts: The Snug, which Snuggle defines as a Snuggle but with more love! Let’s face it, there is nothing cuter than that loveable, huggable bear and his signature giggle! 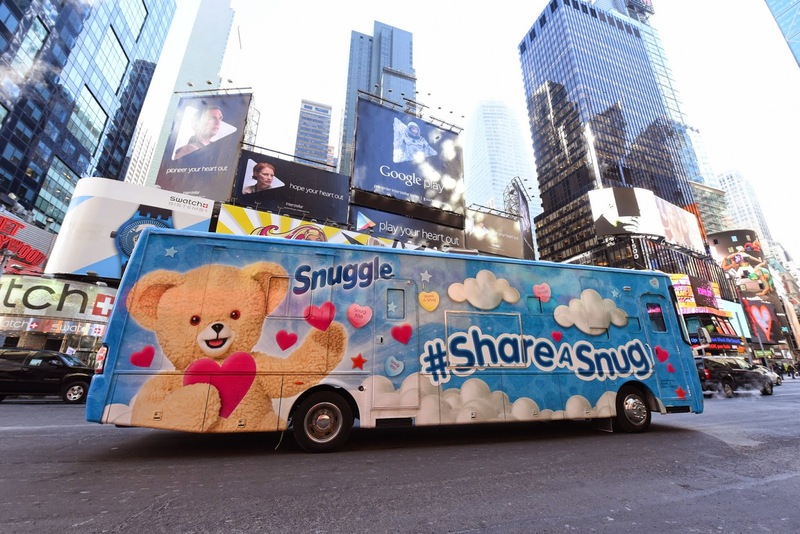 That’s why the Snuggle Bear hit the streets of New York on a Snug Mobile to break a Guinness Book of World Records. While they did not win, it still was a pretty great attempt. You can read more of the story here.